The multiplication of loaves is the only miracle (except the Resurrection of course) that is recorded in all four gospels. We can assume therefore that it was extremely important to the early Christians. Perhaps it was more significant to them than it is for us? For us it might simply be a miracle story amongst many others. But should we think of it as being more than this? So why was this miracle of multiplication of bread of such importance? The first thing to realise is that this miracle of the feeding of the multitude with bread was pointing towards the Eucharist. This is made very clear in St John’s Gospel for the account comes at the very beginning of the section that forms the basis of Catholic understanding of the Eucharist (John 6, especially vv.22-end). Out of compassion for the multitude that followed Him into the hills, Christ nourishes them with bread and fish. They are fed so that they were able to eat their fill. Now it was clearly, at that time, a difficult teaching to accept (as it is still difficult for some Christians to accept today). We are told, in John 6, that many disciples turned away at this teaching; it was too hard to receive. But Jesus insists that “he who eats my flesh and drinks my blood has eternal life” and, He says, they “abide in me”. 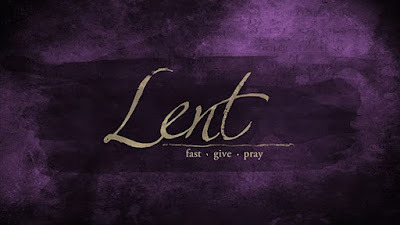 Another connection that John makes clear is that this multiplication miracle took place at the time of the Passover, and thus we remember that the Last Supper also was at the time of the Passover. For Christians the New Passover is the Eucharist, when Christ’s redemptive sacrifice on the cross is understood as the sacrifice of the eternal Passover lamb. And He is made present in the Mass in His self-offering of Himself in the transubstantiation of the bread and wine taken by the priest. His words at the Last Supper are repeated again, “This is my body”, and “This is my blood.” In many ways it could not be clearer, though it is of course difficult for us to accept without faith. One detail perhaps should give us pause for thought. In all the miracles that Jesus performed, He always waits for and then accepts an act of faith (consisting of total self-giving) followed by the exercise of divine power. 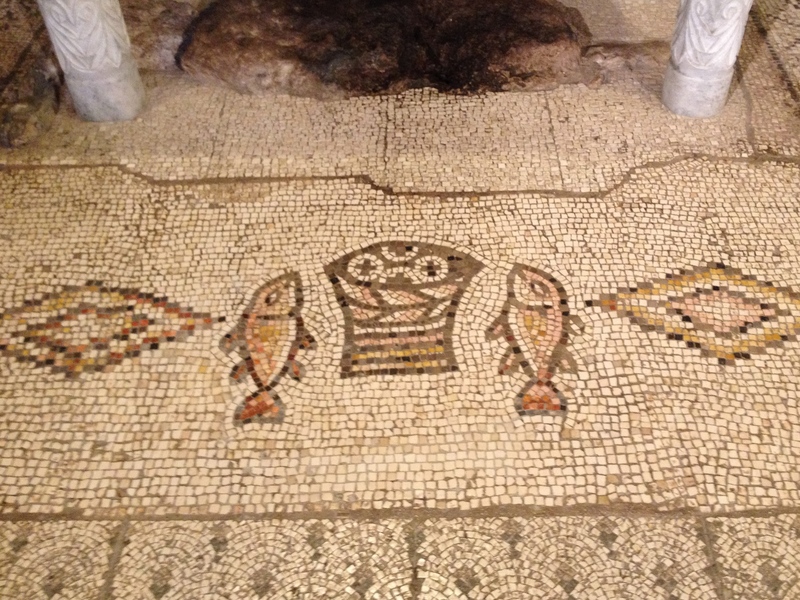 Here it is the trust that people place in Christ and their offering up of the five loaves and two fishes. 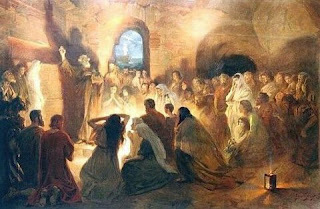 Let us never forget that in every Mass a miracle occurs through divine power. And yes, we offer bread and wine, but our Lord also waits for us to offer ourselves to Him sacrificially. This total giving of self is what we should all be aiming at in each celebration of Mass and it is the key for the miracle of the Eucharist to be transformative in our lives.